To borrow a line from Lonely Planet’s California guidebook, Big Sur is more a state of mind than a place you can pinpoint on a map. 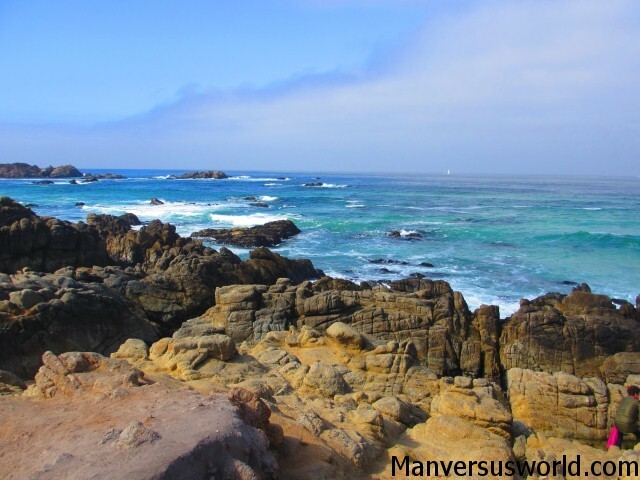 Even so, this achingly beautiful 140km (87 miles) stretch of coastline between Monterrey and San Simeon along America’s famous Pacific Coast Highway has to be one of the world’s best drives – especially in a convertible. Sweeping vistas abound along the famous PCH, but they’re even more impressive at Big Sur. The Santa Lucia Mountains tower above the emerald blue of the Pacific Ocean, while California condors soar overhead and, if you’re very lucky, you might even see a whale spout. For drivers, it’s hard to keep your eyes on the road – but you’ve got to be careful, because one false move on this relatively narrow and winding road and you’ll go right off the edge. Thankfully, viewpoints are plentiful – offering ample opportunities to pull over and take some photos of the spectacular scenery. 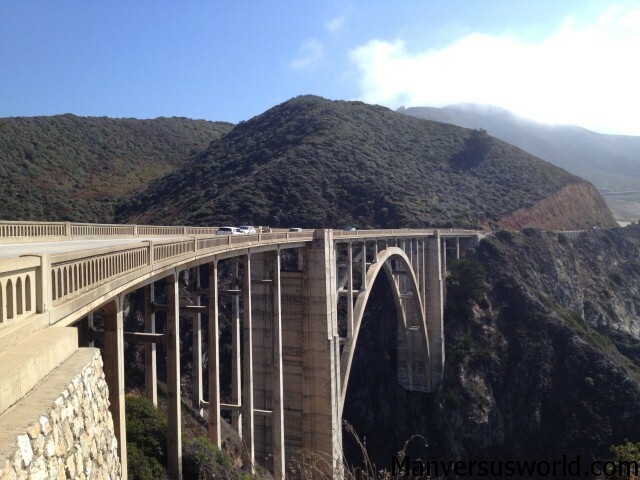 And the Bixby Creek Bridge (pictured above and below) is arguably the Big Sur drive’s most photo-friendly feature. This imposing concrete arch bridge is one of the largest of its kind in the world, standing nearly 100m long and 85m tall. That the bridge is so picturesque and doesn’t take away from the drive’s grandeur, only adds to it, is remarkable. Full credit to the Depression-era architects who apparently chose concrete as its building material not only to save on costs but also because it wouldn’t look too out of place amongst the natural rock formations. There’s a viewing area just before the bridge (on the northern side) but, as you can imagine, it gets busy during the peak tourist season when it can be difficult to find a safe place to park the car. We had no trouble on our honeymoon in mid-October. 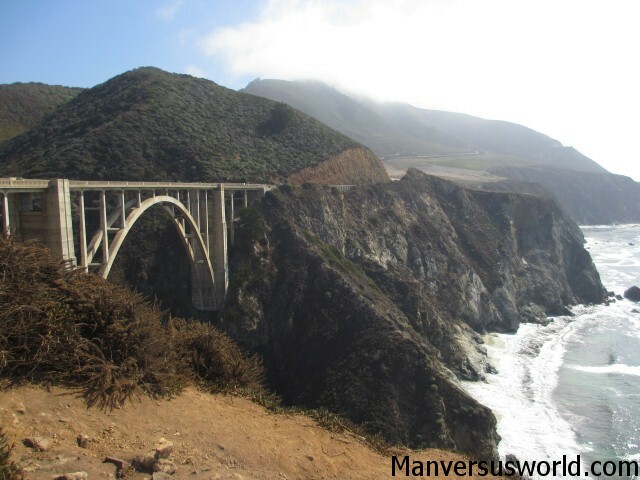 Big Sur is accessible only via the Pacific Coast Highway. 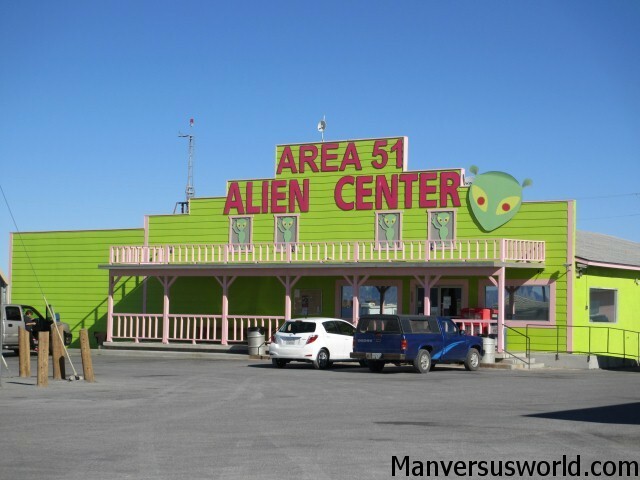 The area is renowned for its state parks and natural wilderness, hiking trails and the like – but we merely passed through on our honeymoon, heading south and stopping only to take photos at scenic viewpoints along the road. Driving through Big Sur can be slow going at times. It’s a windy stretch of coastline and you’ve got to watch out for vehicles stopping and/or pulling out abruptly. You need to watch out for cyclists and road work, too. You should also fill up your car with petrol before you attempt the Big Sur drive, as gas prices in the area can border on extortion. 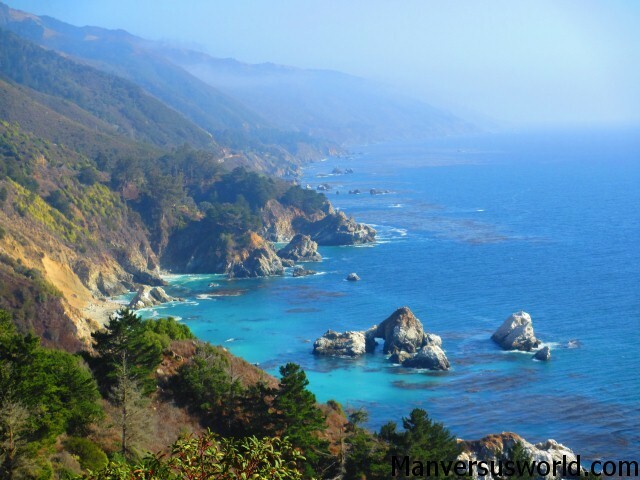 Other than that, just remember to take your time and enjoy the amazing scenery of Big Sur and the Pacific Coast Highway. The bridge looks just epic! And the coastline reminds me much of Corsica, France. Same amazing blue color of the sea! So cool that you did it in a convertable as well! We did this on our honeymoon in a mustang and I agree easily one of the best drives in the world 🙂 Lovely photos! Thanks, Becky! We did it in a Mustang, too! It looks amazing. Definitely one of those journeys to go on the bucket list! It’s such a beautiful drive! You have to do it some day.